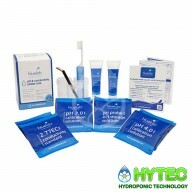 Here at Hytec Hydroponics we provide a large range of E.C & p.H Management equipment for Sheffield, Worksop, Rotherham, Yorkshire, the surrounding areas, and all of the UK, including items from quality manufacturers such as Growth Technology, Blue Lab, and Hydrogardens Essentials. Maintaining the correct p.H and E.C. 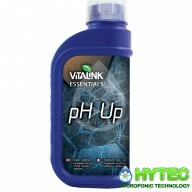 of your plants nutrient solution and root zone is essential to keep your plants healthy and yield bigger. 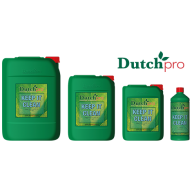 KEEP IT CLEAN Free your drip system from blockages and maintain the best working conditions possible with Keep It Clean! 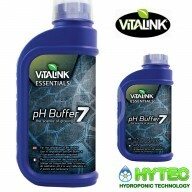 This solution is completely plant friendly and is great for hydroponic growers looking for a plant friendly way to keep their tubing and dripper lines free of bacteria. Ke..
PH- BLOOM Keep your pH levels stable and supplement your plants in bloom at the same time with this fantastic pH Down product from Dutch Pro. 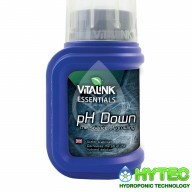 Keeping your pH levels correct and stable is very important when growing using hydroponics, Dutch Pro pH Down Bloom is an easy and effective way to keep yo..
PH- GROW Keep your pH levels stable and supplement your plants in grow at the same time with this amazing pH Down product from Dutch Pro. 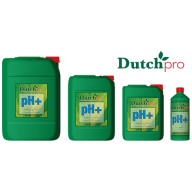 Keeping your pH levels correct and stable is very important when growing using hydroponics, Dutch Pro pH Down Grow is an easy and effective way to keep your pH..
PH+ Keep your pH levels stable and your plants prospering with Dutch Pro pH Up! Keeping your pH levels correct and stable is very important when growing with hydroponics, Dutch Pro pH Up is an effective and easy way to keep your pH values within normal limits. 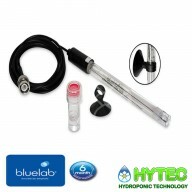 Easy to apply and very cost effectiv..
Bluelab Conductivity Probe Care Kit The fact is that the instrument is only as accurate as the probe is clean! 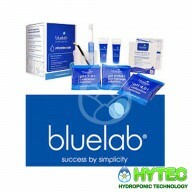 every time you use your meter a micro film is left on the probe which after time becomes more and more resistive, the resistance created by the build up causes a false re..
Bluelab Probe Care kit for pH. The fact is that the instrument is only as accurate as the probe is clean! every time you use your meter a micro film is left on the probe which after time becomes more and more resistive, the resistance created by the build up causes a false reading, now ..
BIOGREEN PH DOWN BLOOM pH-BLOOM decreases the pH value for blooming Benefits composition: 59% phosphoric acid (pH reduction, flowering) Use Store in a dark and frost-free place. No best-before date. In the event of eye contact rinse eyes immediately with water. 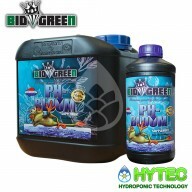 Keep out of reach of child..
BIOGREEN PH DOWN GROW pH-BLOOM decreases the pH value for blooming Benefits composition: 59% phosphoric acid (pH reduction, flowering) Use Store in a dark and frost-free place. No best-before date. In the event of eye contact rinse eyes immediately with water. Keep out of reach of childr..
Bluelab Carry Case The Bluelab carry case is custom fit case to protect yor Blulab meters in transit or storage to ensure no harm can come to them so you can use and read your Bluelab Meter right out of the case. 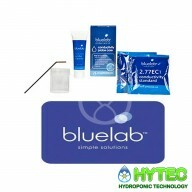 The Bluelab Carry Case has a firm outer casing which offers im..
Bluelab Probe Care Kit for pH & Conductivity Everything you need in 1 simple kit to clean, hydrate and calibrate your pH probes and clean and test your conductivity (ppm/EC) probes. 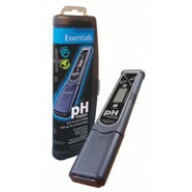 Your instrument is only as accurate as the probe is clean, every time you take a reading..
PLANT!T pH meter The PLANT!T pH meter is reliable and easy to use. 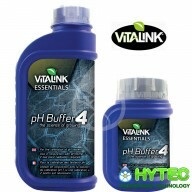 Small and lightweight, it is ideal for any growroom. 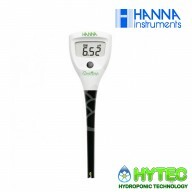 The PLANT!T pH meter features: The LCD dual display shows pH and tempeature readings Calibration is easy with a one touch autocalibration and can give upto a 3 point caliba..
GROLINE HYDROPONICS PH TESTER The HI-98115 is a GroLine pH tester with advanced features for the measurement of pH in hydroponic nutrient solutions and soil slurries.HI-98115 is a very simple meter to operate with all functions including turning on/off and calibration are performed with a s..
Bluelab pH Probe (replacement) A replacement probe with 2 meters of cable for Bluelab Combo and pH Meters as well as the Bluelab Guardian Monitor. 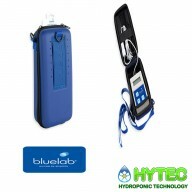 The Bluelab pH Probe is a direct replacement pH probe (electrode) suitable for use with Bluelab products that test the pH value of your soluti..
BLUELAB EC PEN - TEMPERATURE COMPENSATED DIGITAL EC TESTER THE ULTIMATE HANDY SOLUTION FOR MEASURING CONDUCTIVITY!THE BLUELAB EC PEN IS THE LATEST INNOVATION FOR HAND HELD-CONDUCTIVITY METERS. IT PROVIDES A COMPACT, QUICK AND HANDY WAY TO MANAGE THE SUCCESS OF CROPS. 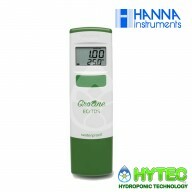 THE BLUELAB EC PEN SHOWS THAT..
GROLINE WATERPROOF EC/TDS (PPM) TESTER The groline ec is the latest pocket meter for measuring the EC/TDS of a hydroponic nutrient solution. 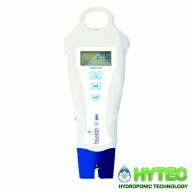 The ergonomic design allows this tester to fit comfortably in your hand. 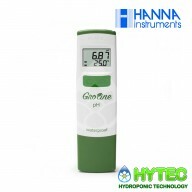 The large easy to read LCD display shows both EC or TDS and temperature along ..
GROLINE WATERPROOF HYDROPONIC PH & TEMPERATURE TESTER The groline pH/temperature tester is the latest pocket meter for measuring the pH of a hydroponic nutrient solution. 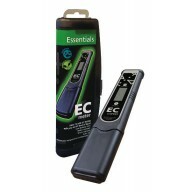 The ergonomic design allows this tester to fit comfortably in your hand. 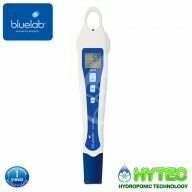 The large easy to read LCD display shows both pH ..
BLUELAB PH PEN - TEMPERATURE COMPENSATED DIGITAL PH TESTER The ultimate handy solution for measuring pH! Plants get their nutrition from minerals but they can only get all the right minerals they need if certain conditions are right. A key factor that affects food uptake is whether the solu..